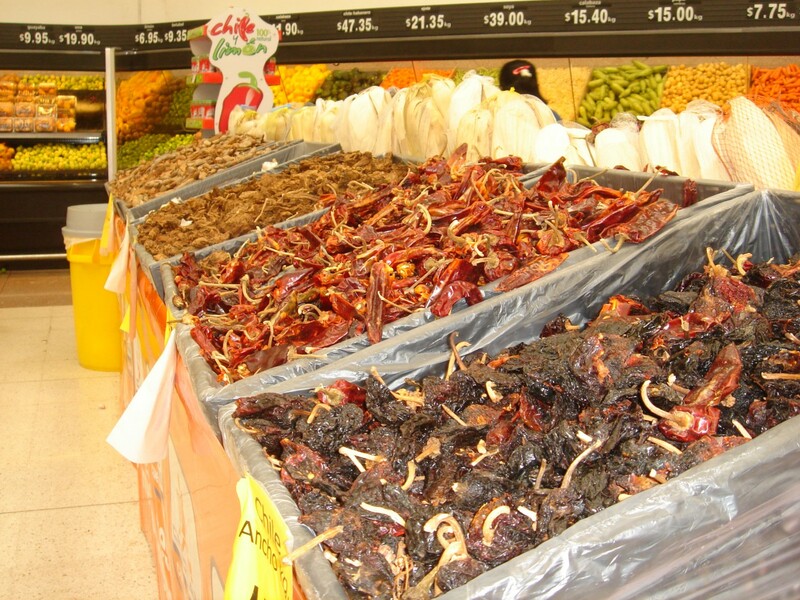 Walk into the produce area of any grocery store on Isla Mujeres or Cancun and the smells are amazing! It’s a tantalizing mix of the aromas of passion fruit, ripe cantaloupe, mature bananas, juicy watermelons, overlaid with the spicy smells of a multitude of chili peppers. A few years ago when we first moved to Isla Mujeres, full-time, we were on a shopping trip in Cancun and I was fantasizing about a crisp salad made with Romaine lettuce, sweet bell peppers, English cucumbers, pistachio nuts and white cheddar cheese. I walked through the aisles staring at hot peppers, small peppers, tiny peppers, sweet peppers, dried peppers, red peppers, yellow peppers, green peppers or orange peppers with exotic names like Jalapeño, Poblano, Habanero, Fresno Rojo, and Serrano. I thought it quite odd that in a country that produces most of the vegetables that we eat in Canada, we were having trouble getting good fresh produce. As we acclimatize to the country and the food we have discovered that peppers are a mainstay of the local diet. The food here is very flavourful, just different from our North American tastes. I am slowly learning to add a bit of ‘zing’ into our meals. I would think with such a warm climate you could grow most things year round. How about a little container garden? Bell peppers? Cukes? Maybe not english cucumbers but I'll bet the lemon cucumbers (small round yellow ones) would do well. I'll bring you some seeds when we come down in October if you'd like to try.